Home/Nutrition & Recipes/Articles/Benefits of Organic/Nutritional Benefits/Why organic? 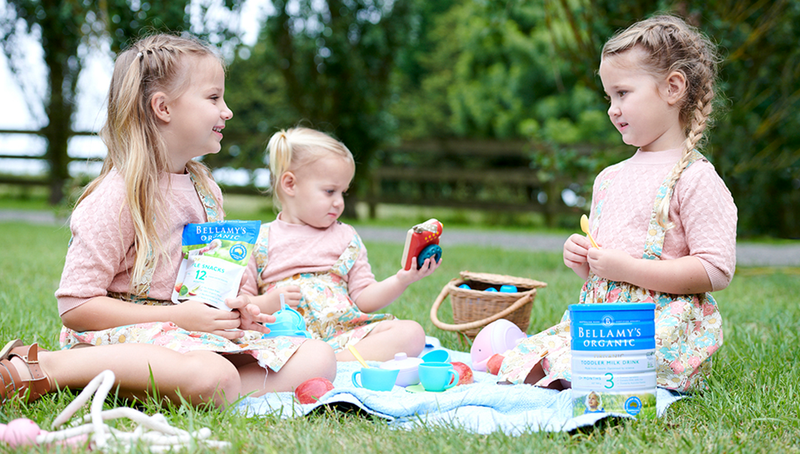 Choosing Bellamy’s certified organic baby formulas and foods starts your baby off on a path to healthy mindful eating so that they continue to grow into healthy happy children. Organic baby products, just like organic food in general, are a good choice when you want a natural product that hasn’t been produced with harmful chemicals, but it’s even more important that babies get an organic, pure start to life, without harmful toxins in their diets. This is because, being small, babies’ organ systems are still developing and maturing, and as a result, are less able to deal with a range of chemicals and environmental pollutants. These toxins, which cannot be processed properly by young bodies, can lead to further health problems as they grow up, including allergies, immune system disorders, and potential impairment of cognitive functions. So, organic is not a fad. Scientific and medical research shows it is an important consideration for ensuring your baby thrives and reaches full potential. Not only that, it’s clearly the way of sustainable farming for the future, too. That is why, here at Bellamy’s, we believe organic is so important. For more information on organic foods go to our Resource Centre.